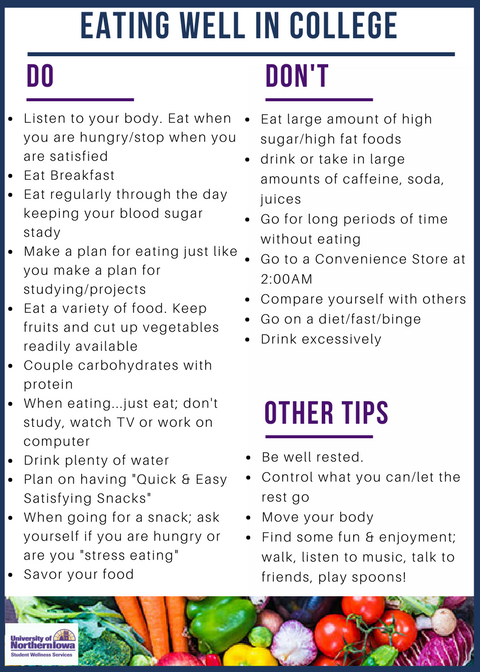 Student Wellness Services provides support for creating and maintaining healthy eating behaviors. Individual appointments can be made with a health promotion coordinator trained in Intuitive Eating to discuss healthy eating strategies. 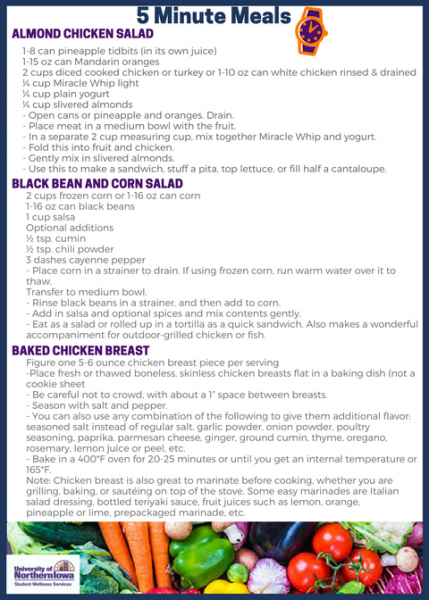 The Department of Residence also offers nutrition information and a wide variety of nutritious food options. 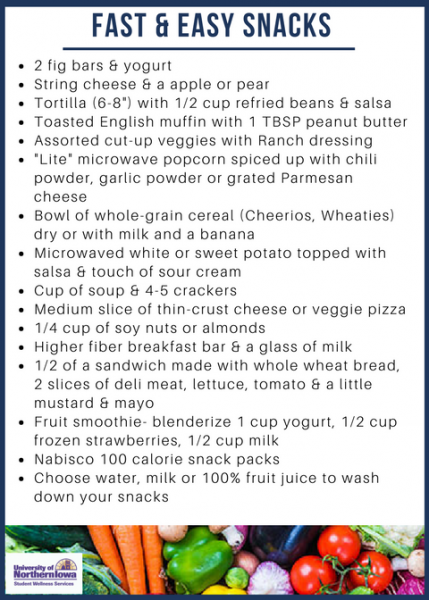 Schedule an Intuitive Eating appointment online (If you are unable to find an appointment slot available that meets you scheduling needs, please email joan.thompson@uni.edu. 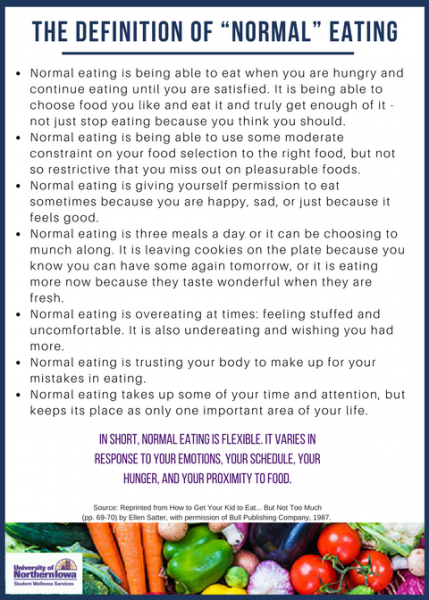 UNI offers support and guidance for those experiencing the effects of disordered eating. Physical assessments are provided through the Student Health Clinic. Individual mental health counseling is offered through the Counseling Center. 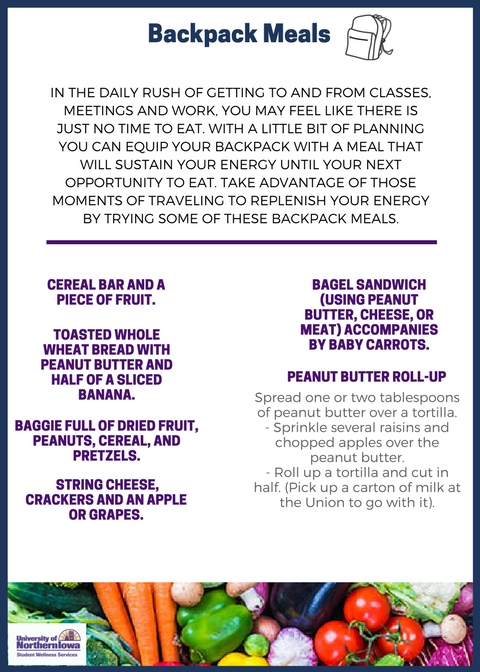 To request information specific to your needs, email joan.thompson@uni.edu, Health Promotion Coordinator, or call (319) 273-2137.